The Australian made 1024 model of programmable indicators from Instrotech Australia are simple and easy to read, and they feature various model functions. The large display indicators feature 100mm high, red LED digits for clear viewing, and they are suitable for use in both outdoor and indoor settings with IP54 or IP65 environmental protection ratings. For maximum durability, users can choose from acrylic, stainless steel or epoxy coated mild steel housings and viewing windows are available in either acrylic or safety glass. 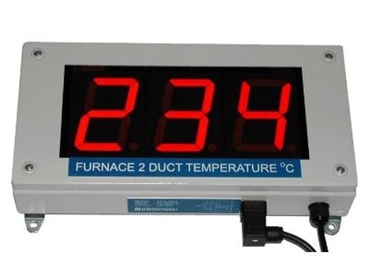 The display indicators can be configured to comply with temperature, serial, frequency, quadrature, load cell, counts, time, analogue and parallel inputs.